the Wine Advocate had great things to say about Vincent Couche! eRobertParker.com / the Wine Advocate had great things to say about our wines! Vincent Couche is part of the upwelling of talent (and awakening to terroir) taking place in the extreme South of Champagne, and like a number of those growers most responsible, he farms biodynamically. Moreover, he has vineyards both in his base village of Buxeuil, and in distant Montgueux, a remote southern Champagne outpost with remarkable Chardonnay. 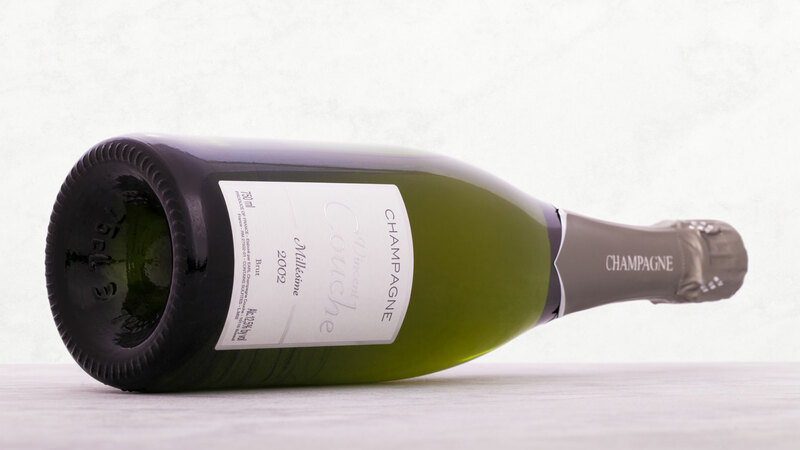 Primary vinification is in a combination of tank and barrel, and Couche is one of increasingly many Champenois (especially among the young) to believe that one should render a complete as well as complex still wine before bothering to champagnize it. I got my first, if incomplete, glimpse of his portfolio this year, and while one "dosage zero" bottling was just a bit too tart and austere to more than mildly recommend, the other three wines I tasted demonstrated impressive talent. This is, I have to mention, one of several addresses from which I tasted 2009 vintage-based wines...and couldn’t help thinking, "If this is 2009, how firm and razor-sharp will be this grower’s wines based on a high-acid vintage?!" Crabapple and lemon dominate Couche’s roughly two-thirds Pinot, one-third Chardonnay NV Extra Brut Disgorged 4/2012, just as they did a corresponding "dosage zero" cuvée. But here, there are mouthwatering salinity and abundant juiciness, so that piquancy of apple pip and suffusion of chalk do not drag the wine into outright austerity. What’s more, the texture is very refined and allied to real delicacy. (Naturally, the effects of six grams residual sugar must also not be overlooked.). This finishes with consummate refreshment as well as the urge to take the next sip. It ought to delight over the next couple of years. Couche NV Rose Désir Extra Brut Disgorged 10/2012 - a 75-25 blend of Pinot and Chardonnay from Buxeuil and Montgueux - is like a tart-edged raspberry and strawberry shrub mingled with black tea and wreathed in primary yeastiness. While only harboring four grams of residual sugar, it finishes with an effusive sense of ripe berries, as well as a subtle undertone of chalk. It should be a delight throughout the coming year. Couche’s Vintage 2002 Brut is half-each Pinot and Chardonnay, and all from Buxeuil. A metaphorically - and perhaps somehow also literally – cooling impression is wrought by high-toned mint and tarragon in their alliance on a polished palate with fresh pear, apple and cucumber. This crisp and juicy Champagne salad acquires stimulating piquancy and pungency via apple pip and buckwheat, while a maritime alliance of chalkiness, alkalinity and salinity serves for further intrigue - not to mention saliva inducement - in a nuanced and impressively persistent finish. Also recommended: NV Extra Brut Dosage Zero Disgorged 10/2012 (Rating: 86).